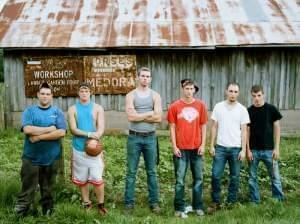 Come to our free Community Cinema screening and discussion about the down-but-not-out Medora, Ind., high school basketball team, whose struggles parallel its town’s fight for survival. In Indiana, where communities love their high school basketball, what happens when a beloved team can no longer win a single game? Medora is an in-depth, deeply personal look at small town life; a thrilling, underdog basketball story; and an inspiring tale of a community refusing to give up hope despite the brutal odds stacked against them. Come to our free screening and discussion of issues raised by this documentary focusing on Muhammad Ali’s toughest bout, his battle to overturn his five-year prison sentence for refusing U.S. military service during the Vietnam War. The Trials of Muhammad Ali explores the extraordinary and complex life of the legendary athlete outside the boxing ring. Outspoken and passionate in his beliefs, Ali found himself in the crosshairs of conflicts concerning race, religion and wartime dissent. 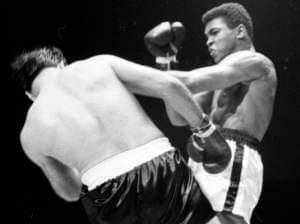 Directed by Bill Siegel, The Trials of Muhammad Ali examines how one of the most celebrated sports champions of the 20th century risked fame and fortune to follow his faith and conscience. Catch the film on the PBS series Independent Lens at 9 pm Monday, Feb. 17, on WILL-TV. Come to our free screening and discussion of issues raised by this documentary about the annual debutante ball in Laredo, Texas, which dates from the aftermath of the U.S.-Mexico War. The film follows two Mexican American girls carrying this gilded tradition on their young shoulders during a time of economic uncertainty and political tension over immigration. Come to our free screening and discussion of this tense documentary about the divisive battle over illegal immigration in Arizona. The film tracks multiple perspectives--activists, politicians, Latino immigrants, controversial Sheriff Joe Arpaio, ranchers and others. 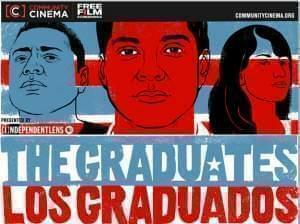 Join us at our new location at the Spurlock Museum for a free screening and discussion examining the roots of the Latino dropout crisis and efforts to turn it around. Click the "Listen" icon to hear an interview about the event with WILL Community Engagement Producer Henry Radcliffe. The interview, conducted by WILL-AM's Jason Croft, aired as a local segment during Here and Now on October 1, 2013. Join us at our new location at the Spurlock Museum, 600 S. Gregory St., Urbana, for free screenings and discussions with a local panel about the issues raised in the films. Pressing issues in education today are explored through the eyes of a diverse array of Latino and Latina adolescents from across the U.S. in this eye-opening documentary of the challenges facing both the students and their families. 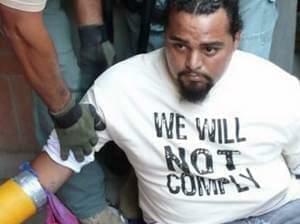 The divisive battle over illegal immigration in Arizona that came to a head with Senate Bill 1070 frames this tense documentary that tracks multiple perspectives--activists, politicians, Latino immigrants, controversial Sheriff Joe Arpaio, ranchers, and others--as America eyes the results. 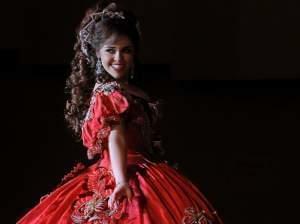 Dating from the aftermath of the U.S.-Mexico War, the annual debutante ball in Laredo, Texas, is unlike any other. Las Marthas follows two Mexican American girls carrying this gilded tradition on their young shoulders during a time of economic uncertainty and political tension over immigration. The Trials of Muhammad Ali covers the famed boxer's toughest bout of all: his battle to overturn the five-year prison sentence he received for refusing U.S. military service. 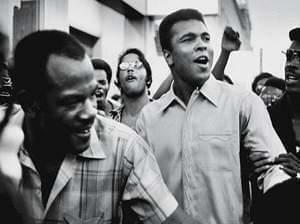 The film explores Ali's exile years when he was banned from boxing and found himself in the crosshairs of conflicts concerning race, religion, and wartime dissent. Medora, Indiana, is a once-booming community beset by a crippled economy and a dwindling population. This documentary follows the town's down-but-not-out varsity basketball team over a season, capturing the players' stories on and off the court as the team's struggle to compete parallels the town's fight for survival. Centering on the historic fight to win marriage equality in Maryland, The New Black takes viewers into the pews, the streets, and kitchen tables as it looks at how the African American community grapples with the divisive gay rights issue. Part of the Women and Girls Lead campaign. 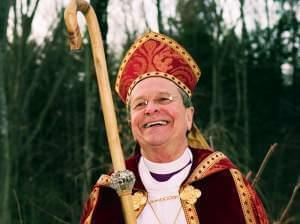 The Sundance Award-winning documentary Love Free or Die from Independent Lens tells the story of Gene Robinson, the first openly gay person to be elected bishop in the high church traditions of Christianity. Join us for a free screening and discussion of issues it raises. 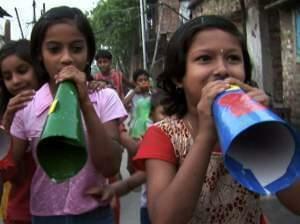 Former attorney Amlan Ganguly doesn’t simply rescue children living in Calcutta’s slums. He empowers them to transform their own neighborhoods and lives—cleaning up trash dumps, going to school, reducing malaria infection. Follow Amlan and three of the children he works with as they fight for the better future he encourages them to believe can be theirs. Join us for a free screening and discussion of issues it raises. Watch a preview. Come to our free screening and discussion of a documentary that lifts the issue of global warming out of the theoretical and into the personal. 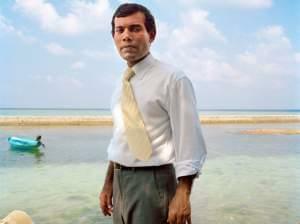 President Mohamed Nasheed is trying to prevent 385,000 people from drowning. His nation of 1,200 low-lying islands, the Maldives, is sinking into the Indian Ocean as sea levels rise due to global warming. Watch a preview.